Real Madrid are reportedly plotting a surprise move to sign Suso from AC Milan during the winter transfer window. The European champions are currently weighing up the future of Gareth Bale, who has struggled with a series of injuries over the past year. According to Sportmediaset, Zinedine Zidane’s side are lining up a move for the former Liverpool man, who is being seen as a potential replacement for Bale. Suso only inked a long-term deal with AC Milan in the summer with a €40m release clause, but this is not a figure which would fend off the interest from Los Blancos. Suso has been on Real Madrid’s radar for a while, and the 23-year-old has previously admitted that Los Blancos wanted him prior to his switch to the Liverpool academy, he said: “I came close to joining Real Madrid. I came here [in Madrid] to visit the training facilities but the Liverpool called me and I decided to move to England. Bale has received immense criticism from the club’s faithful since the start of the season, but he has continued to earn the confidence of Zinedine Zidane, who has backed him with a regular place in the starting line-up. Manchester United remain one of the potential contenders to sign the Welshman in the future, and it will be interesting to see how the player’s future paves out in the coming months. Meanwhile, Los Blancos have made an average start to their La Liga season with just 14 points from their first seven games. As a result, they are seven points adrift of table-toppers Barcelona, who hold a 100 percent win record. Portugal international Renato Sanches has handed a blow to Manchester United after admitting that he could prefer a year-long loan with Serie A giants AC Milan. The Rossoneri have spent in excess of £160m on 10 players to date, and their spending spree is unlikely to cease anytime soon as they look to make the most of their transfer business for the summer. While the San Siro club have spent reasonably on top recruits such as Leonardo Bonucci and Mateo Musacchio, they have also pursued loan spells for the likes of Franck Kessie and Fabio Borini. 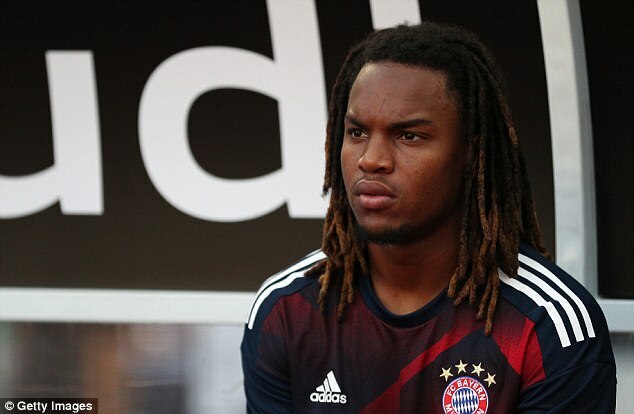 According to The Independent, Sanches could be the next in line to join Milan on a temporary basis after admitting he is eyeing a fresh challenge elsewhere. AC Milan CEO Marco Fossune is confident that the club will keep hold of the services of Gianluigi Donnarumma for the final year of his Rossoneri contract. The Italy international recently snubbed a fresh deal with the San Siro outfit after he felt bullied while holding negotiations over a probable extension. Donnarumma has since received some stick from the club’s faithful while his representative Mino Raiola has hinted that he could switch clubs with Real Madrid, Manchester United and Paris Saint-Germain among the elite clubs keen on his signature. AC Milan have reportedly met with Chelsea striker Diego Costa’s agent Jorge Mendes with the hope of convincing him about the player. Milan directors MassimilianoMirabelli and Marco Fassone met with Mendes at Cardiff before the Champions League final on Saturday and more meetings are planned. Milan want Mendes to bring three players on his clients’ list; Real Madrid’s James Rodriguez, Porto striker Andre Silva aside Costa. Milan zeroed in on the Spaniard as Torino rejected their £39 million bid for highly sought after Andrea Belotti. Torino also prefers foreign clubs who can get close to the £87 million release clause of the player. Costa is expected to leave Chelsea this summer with the Blues favouring a move for former player RomeluLukaku. MichyBatshuayi is making a case for more game time at Stamford Bridge so he could get to handle more local games while Lukaku play in the league and Champions League. Batshuayi revealed that he would have a sit-down with the club management to discuss his options. He mentioned the World Cup next year as one reason he cannot continue with the status quo. If Chelsea consider him not good enough, the Belgian would have to go out on loan. 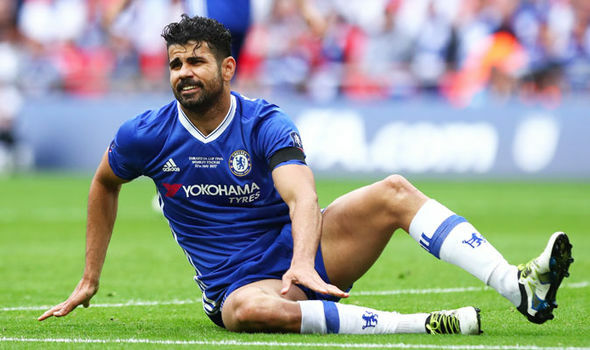 Costa had been linked with a return to Atletico Madrid but with the Spanish side locked up in prison by FIFA for transfer issues, a move to Milan, the MLS or China are likely options. Mendes has strong links with China – with Fosun International one of Chinese biggest investment firms having a 30 percent stake at his company GestiFute agency. The new rules in the Chinese Super League on foreign additions might complicate the deal though. With Milan been run by Chinese investors who spent £630 million on the deal, they have enough financial muscle to land Costa and meet his wage demands. 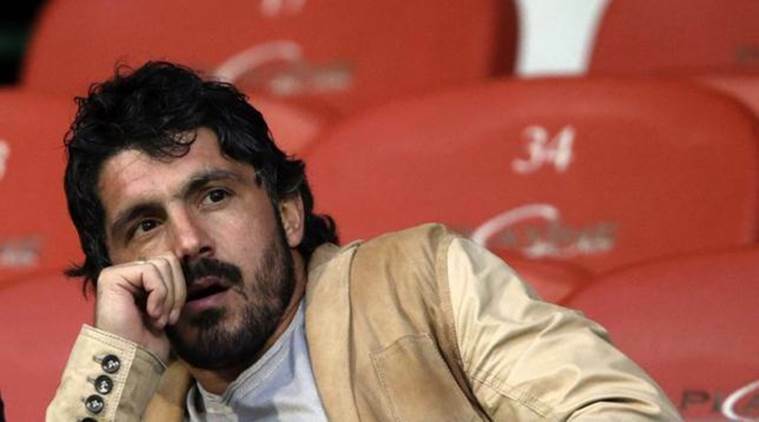 Former Ac.Milan midfielder GennaroGattuso has made his return to the Italian club where he managed to lift the UEFA Champions League on 2 occasions as well as many major pieces of silverware. GennaroGattuso is one of those players who despite not being the most skillful, he contributed in different ways. Gattuso is known for his aggressive playing-style and for the fact that he just does not give up. He spent 13 years performing with Ac.Milan and left them back on June of 2012. From there on out, the defensive midfielder would go on to become a coach as he took over various clubs including: Palermo, OFI Crete and his latest team Pisa. Instead of becoming an actual manager, it was recently confirmed that Gattuso was selected as the new youth coach of Ac.Milan. AC Milan manager Vincenzo Montella has claimed that he is growing tired of the rumours linking the club with every top player in the world, just weeks after Chinese owners completed the takeover of the club from the hands of Silvio Berlusconi. The Chinese owners have promised significant investment into the club and it is primarily going to come into the playing squad. This has resulted in the club being linked with every top player like Karim Benzema, Cesc Fabregas, and Pierre-EmerickAubameyang. AC Milan suffered a major setback in the race for the Italian Serie A top three finish after only managing a draw with rivals Inter Milan in the latest Milan derby. A 2-2 draw with Inter means that Milan have managed just one win in the last three games. Their form over the last five games has also been mediocre with only two wins. Inter, who were the home team, took the lead through AntonioCandreva in the 36th minute. Mauro Icardi doubled the advantage just eight minutes later. Just when it seemed that Inter would be able to claim an important win in the race for the top three places, Milan produced an incredible comeback in the final six minutes. AC Milan manager Vincenzo Montella believes that the club are on course to achieving the objectives for the campaign, despite failing to win a game in the last five. More importantly, they have suffered a fourth consecutive defeats – with three of them coming in the Italian Serie A. As a result, Milan have dropped five points behind Inter Milan, who are in the fifth spot. Qualifying for Europe is understood to be one of the main priorities for the club. Milan have not been seen in the European competitions since the 2013-14 season. They have undergone several managerial reigns during this period, but the club underwent a change in ownership primarily in order to make them competitive once again. Premier League side are almost set to lure French forward M’Baye Niang from Serie A giant AC Milan, according to reports in Italy. The club has struggled to get the goals this term with strikers firing blank. Watford want Niang on a temporary deal to see if he would fit the culture and needs of the club. The loan deal is reportedly in the range of £1 million or less but the whole package would include an option of buying during the summer if he impresses. Watford would have to pay as much as £13.6 million of the want him at the end of the season. Niang would be in England for medicals and tests on Thursday. The player already agreed personal terms with the struggling top flight football club. AC Milan fans will be left disappointed after a lack of big names arrival at the Italian club. Indeed they will have been hoping that the new AC Milan coach would have invested in some big players so as to improve the team but unfortunately, it has turned out be quite disappointing for them. In fairness, the Italian club is currently experiencing financial issues, and it was clearly impossible for them to sign quality players. They will be hoping that the new Chinese investors will be investing money at the end of the year so that they can buy new players in the January transfer window. Discussions are still going on, and it is believed that any injection of cash will be done by the end of the year when talks would have been finalized. At the moment the AC Milan coach will be looking to patch up the team here and there to help them compete in the first part of the season. The coach Vincenzo Montella has brought in 4 players during the transfer window namely Gustavo Gomez, Jose Sosa, Mario Pasalic and Matias Fernandez and he will be hoping that they could improve the club.